"Coooorrrrkkkiiiii nooooooooooooooo!" Comes the mournful Celtic wail from across the office. "They nerfed Coooorrrrkiiii!" Owen has a strange fascination with League of Legends' Yordle characters, and had become entranced by the miniature bombardier and his magnificent moustache. Cheer up Owen, you've still got Heimerdinger and Teemo. Not to mention a round up of interesting PC gaming news below the cut. Reddit draws our attention to this video of Space Marine's character customisation . RockPaperShotgun reports that VVVVVV is being updated today, with guest star created levels, including one by Notch! LegitGamer have EA's financials from the first quarter of the year. This Team Fortress 2 Medieval skins mod is revealing itself in a similar fashion to the official TF2 updates. CVG picks up on DICE telling German site GameZone about the differences between Battlefield 3 on console and PC. 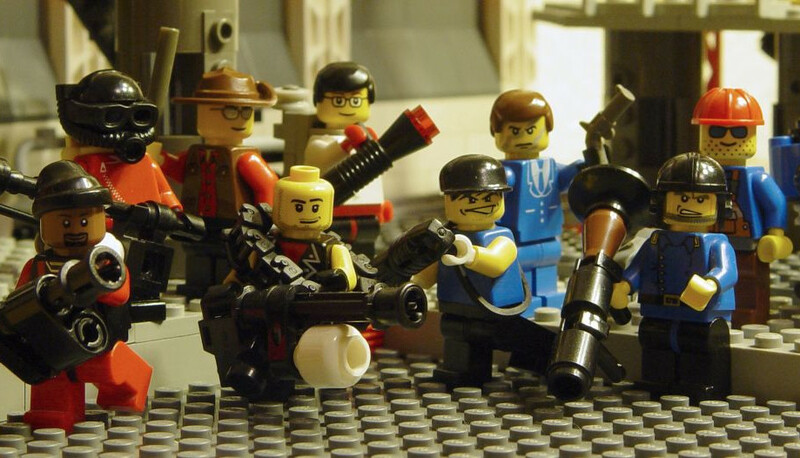 Team Fortress 2 Lego! thanks Reddit . Have you ever suffered the grief of having one of your favourite characters nerfed? Share your pain with PC Gamer.